The site opens at 3:00 pm on Thursday, May 2, 2019. Our Beltane weekend will begin with the opening ceremony on Thursday evening and carry through to the closing ceremony on Sunday. We will hold sacred space the entire weekend. 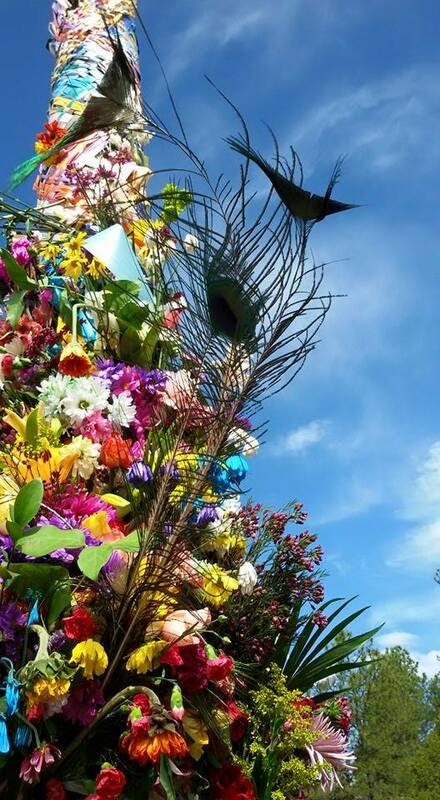 This year will be the New Mexico pagan community’s fortieth consecutive Beltane celebration. This event is organized by Beltane Southwest, a non-profit, tax-exempt organization dedicated to ensuring that this joyous tradition continues. As a community we are fortunate to be supported by Silver Moon Health & Safety, which provides medical care and safety coordination for the event. Both Beltane Southwest and Silver Moon have all-volunteer staffs. If you are interested in becoming involved, please seek out the coordinators via the Gate. LOCATION: You will be notified upon completion of registration. the desire for a wonderful spiritual weekend! Silver Moon Health & Safety: promote responsible behavior and safeguard the health and safety of all. FIRE: If fires are permitted, they will be in accordance with United States Forest Service (USFS) laws and regulations. No personal fires will be permitted. SMOKING: Smoking privileges are subject to USFS fire restrictions. If smoking is permitted, please be considerate of non-smokers and of the environment. Smoking will only be allowed in the designated lounge area and on the asphalt road. No smoking in camping areas, near bathrooms or in the vendor area. For clarification see the Gate. DO NOT leave any cigarette butts on the ground. PARKING: Please park in designated parking areas only. Parking outside of these areas may result in your vehicle being towed at your expense. Please park with your vehicle pointed toward exits in case of emergencies and/or forest fires. CHILDREN: If you are bringing someone else’s child with you to Beltane, you MUST bring a notarized Temporary Guardianship Form granting permission to authorize emergency medical care with you. Everyone attending with children is expected to remain on site and available in case of an emergency. If minor children are left at the festival without an adult holding a notarized power of attorney, Beltane Southwest will contact law enforcement and/or child welfare authorities and request that the children be taken into their care. CANINE ATTENDANCE: Only qualified service animals are allowed at Beltane Southwest. It is a criminal offense under New Mexico law to misrepresent a pet, emotional support animal, comfort animal, or therapy animal as a qualified service animal. FIRST AID: Silver Moon Health Services offers only first aid and CPR treatment as recommended by the American Heart Association and the American Safety and Health Institute. It is strongly suggested that anyone with special/particular medical needs wear a medical ID (bracelet, necklace) in the event emergency treatment or transport is necessary. Silver Moon DOES NOT maintain medical or legal records, other than those designating a responsible party for minors attending the event with someone other than a parent. Attendees who do not consent to being photographed will be given a blaze orange wristband. DO NOT PHOTOGRAPH people wearing orange wristbands, including people who are in the background of your shot. No sharing of images on social media or other publication without the express permission of all the people in the photo/video. No commercial photography/video without advance permission from organizers. No photography/video of rituals without express permission from ritualists. 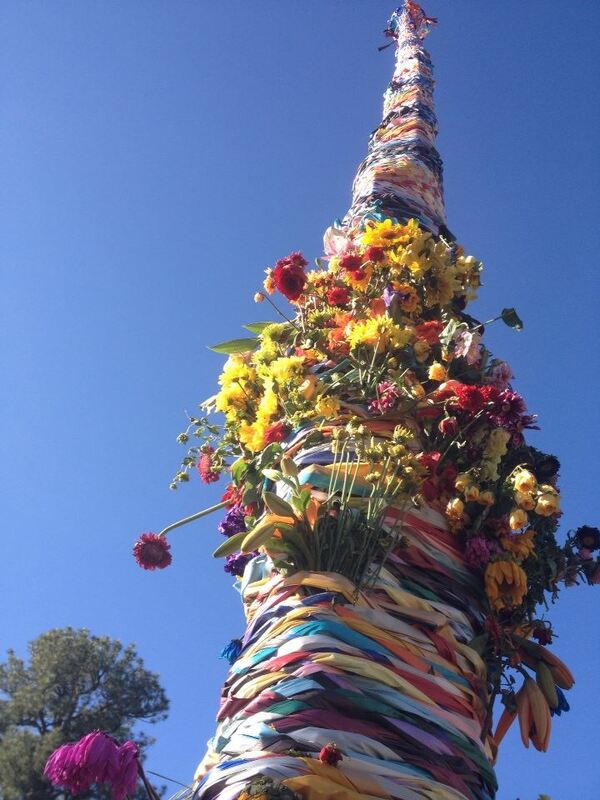 We know that the Maypole ritual is irresistibly photogenic. You may take photographs during the wrapping of the Maypole as long as you do not obstruct the wrapping AND have the express consent of all the people in your photo. Please be aware that you are still in sacred space, and limit your picture-taking so that you can be fully present to the experience. TAKE OUT YOUR TRASH: We are responsible for trash removal at the conclusion of the weekend. As pagans, good stewardship of the land is a spiritual duty as well as a Forest Service requirement. We will have recycling available onsite. Please police your campsite and the surrounding area for litter and haul out your own trash. REMEMBER: Beltane is a spiritual community celebration. If you pack it in, pack it out. Leave no trace! Make the most of your time at Beltane… Participate! Attendees are expected to abide by all federal, state, county, and USFS laws. Please see our Safe Space policy for additional details on our culture of consent and our anti-harassment rules of conduct. This is a SACRED SPACE and therefore intended to be a safe space FOR EVERYONE! Unwanted attention of any kind will not be tolerated. The spirit of this event is to find the dynamic balance of respect, appreciation, sensuality, and springtime.